The commercial invoice is generated for international shipments and is used for Customs purpose. Apart from various customization offered for shipping labels by ELEX DHL Shipping Plugin, you can customize the title of Commercial Invoice. In this article, we will see how to alter DHL Express Commercial Invoice title in ELEX WooCommerce DHL Shipping Plugin, using a simple code snippet. 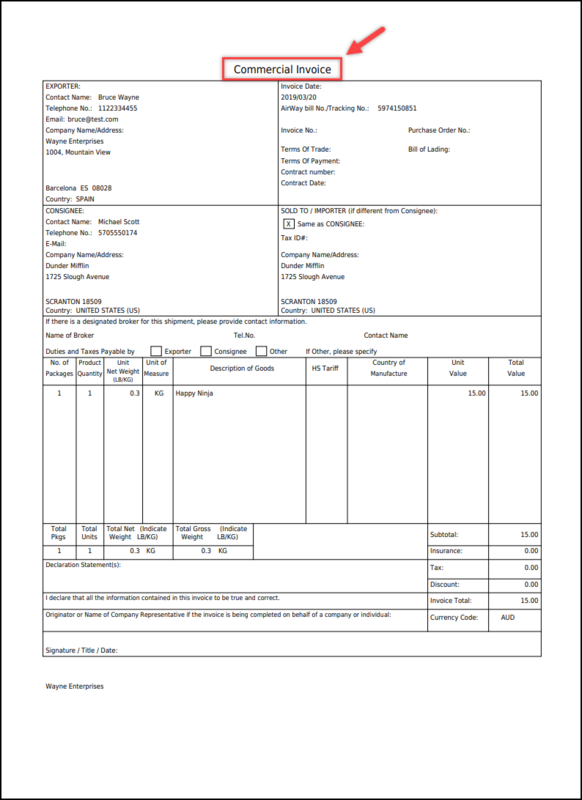 Below is a screenshot of sample DHL Express Commercial Invoice generated using ELEX WooCommerce DHL Shipping Plugin. Notice the “Commercial Invoice” title on top of the document. You can alter this title with the below code snippet. Based on the above code snippet, the title “Commercial Invoice” will be replaced by “Proforma Invoice“. In this way, you can alter DHL Express Commercial Invoice Title in ELEX WooCommerce DHL Shipping Plugin.